Our 15th stop on our International tour is Spain with the Barcelona Burger. 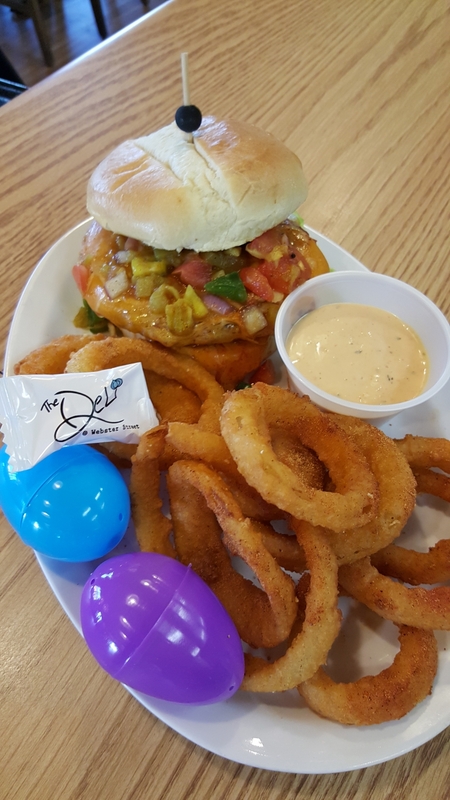 Our grilled hamburger on a Brioche bun resting on a bed of lettuce topped with Barcelona style enchilada sauce, Cheddar cheese and a green chile Pico De Gallo and served with Spanish seasoned O-Rings and a side of Chipolte Ranch, $9.75. Our soups are the Boston Clam Chowder, Chili, Italian Wedding, Shorty’s Reaper Pepper Chili and the Lobster Bisque. Remember to keep a look out for our Easter Eggs with some surprises inside them all around the Deli.